Record keeping is crucial to the ultimate success of every business — especially home-based businesses. A study of over 10,000 businesses found that businesses that kept good to excellent records had a 63 percent survival rate, while businesses with poor record keeping had only a 2.5 percent survival rate. So if you wish to have business success, keep excellent records. Business owners may wonder what excellent record keeping entails. Here are a few record keeping tips for home based businesses to help you improve your record keeping. Keep a petty cash account and balance it frequently, either monthly or after every event with cash sales. Avoid taking money from your cash sales to pay for small expenses. Before an event where I expect cash sales, I set up a temporary petty cash account. I get small bills from the bank and record the starting total on the envelope. After the event, I withdraw the starting cash and deposit the rest. Open a separate business checking account. This is essential for clarity, tax preparation, and for limiting your liability if you have LLC status for your business. If you co-mingle business and personal funds in the same account, you have negated the protection LLC status provides. Do not mix personal and businesses expenses. When I buy both personal and business items at my local office supply store, I pay for them separately from different checking accounts. This keeps my record keeping accurate. Use duplicate checks or three-part checks with vouchers. Duplicate checks and checks with vouchers cost more than ordinary checks, but they serve as an automatic written record of your expenses. File your receipts by category, not by date. One of my tax clients proudly showed me his receipts organized by month in a binder, but tax returns summarize expenses by category, not by the month they were incurred. It took me hours to resort his expenses and increased the cost of his tax preparation that year. Use the memo line of your check to explain the expense. Don’t rely on your memory. Use the lines on deposit slips to record the source of the check. I write the customer’s name or invoice number next to the check amount. Your bank may scan the deposit slip and you can confirm online that a customer has paid you. Start out recording income and expenses with a spreadsheet. Go to http://TaxesForWriters.com for a free record-keeping spreadsheet. Graduate from a spreadsheet to accounting software such as QuickBooks, when you need to send invoices or manage inventory and sales tax. Consider cloud-based accounting services like Wave or FreshBooks that automatically download bank transactions. Keep a mileage log, even if it’s only a calendar with the destination noted. Look up mileage using Google Maps or MapQuest and update your mileage log in a spreadsheet every quarter. When buying equipment that you will use for longer than a year, make note of the date and total price, including sales tax and shipping. Your accountant will need this information to calculate a depreciation deduction. Count your inventory at the end of the year. Some business owners count inventory periodically through the year or after every event and adjust their accounting records for discrepancies. Get a W-9 form from every independent contractor you hire before paying them. A W-9 form collects the independent contractor’s legal name, address, and EIN or SSN. It is needed to prepare Form 1099MISC. You can get the W-9 from IRS.gov. See more tax tips here. The study on business success also found that the frequency of creating accounting reports like a Profit and Loss Statement influenced business success. When accounting reports were generated monthly, businesses had a 79 percent survival rate, while businesses that only looked at their accounting reports once a year (probably for tax preparation) had a 36 percent survival rate. Accounting software will generate very useful reports in a snap, but you need to keep up to date on the bookkeeping in order for the reports to be helpful. Try to set aside time for record keeping. One of my clients did her invoicing and bookkeeping on Wednesday mornings. She found it didn’t take very long when she faithfully devoted time each week. She also had accurate reports of her income and expenses and it helped tremendously with managing her cash flow and led to her ultimate business success. Use these record keeping tips for home based businesses and see your business thrive! 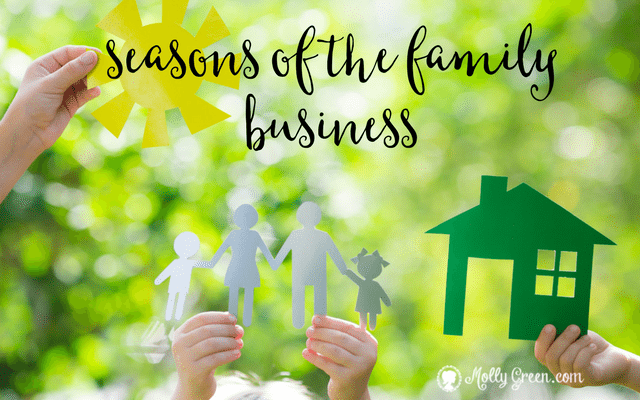 If you’d like to start your own home business, get tips from Molly Green! Carol Topp, CPA, is the author of Starting a Micro Business and Business Tips and Taxes for Writers. She consults with small business start-ups, writers, bloggers, and teenagers launching micro businesses. Her websites: http://MicroBusinessForTeens.com and http://TaxesForWriters.com, have articles, videos, and books on starting and running a small business. “A Longitudinal Analysis of the Characteristics and Performance of Small business in Australia” by A.J. Williams, quoted in Robert Hamilton and John English’s book, The Small Business Book.